PAN India 3G operator, BSNL launched promotional offer of Data / Combo STV packs bundled with Free Hello Tune Services for its prepaid mobile customers in all the circles. 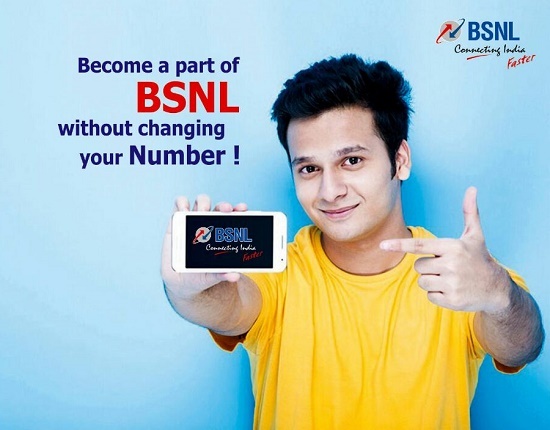 As per the latest information, BSNL prepaid mobile customers may subscribe to BSNL Tunes (Personalized Ring Back Tune) absolutely free of cost on subscribing to select Combo / Data STVs. BSNL launched three different variants of bundled Hello Tune STVs which are - 'Data ke Sath Gaana Offer', 'Suno Sunao Masti Offer' & 'Abb Her Dil Gaana Gaye Offer'. After activation of STV 359/369/489, customer will receive SMS to dial 56700. Dial 56700 and select song to set as PRBT. No subscription/song serection charges wili be deducted from the customer main account. If denomination is not technically feasible/denomination is not free in any particular Telecom Circle, the denomination will be fixed in the range of +/- Rs. 3 but should not be in multiple of Rs.10/-. The above promotional offer will be applicable with effect fro 26-08-2017 for a period of 2 (two) months i.e., up to 25-10-2017. The implementation of the tariff is to be made in accordance with 43rd Amendment of Telecom Tariff Order and orders/guidelines/clarifications issued by TRAI from time to time. Dear readers, please share your views and opinions about these latest promotional offers from BSNL via comments with us. why would you not make plans like 489 [Abb Her Dil Gaana Gaye Offer] not available in kerala circle??? ?